Let us help you make 2016 your best year ever! 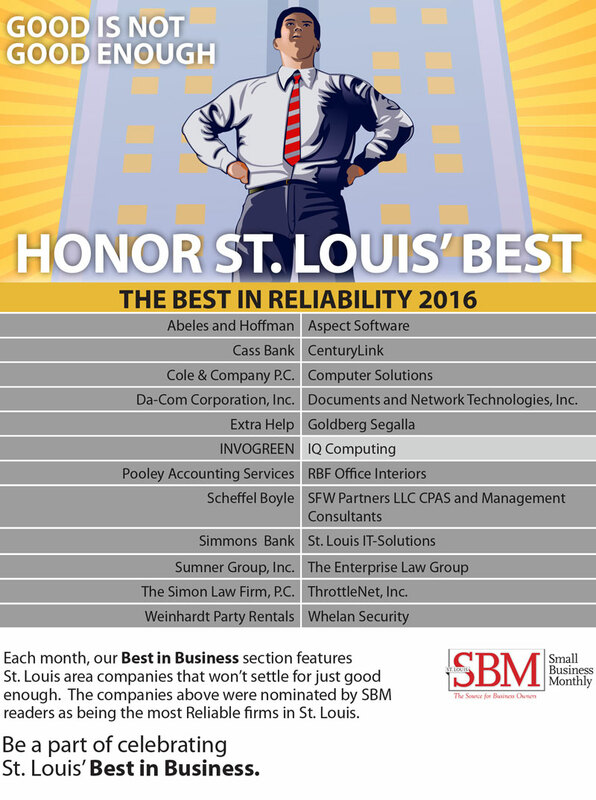 IQComputing has done it again and thanks to the amazing response from the community, we’re the only 2016 “Best in Reliability” web design company in Saint Louis according to the St. Louis Small Business Monthly. For the last two years, IQComputing has been voted as a “Best in Reliability” company and has been recognized as being a St. Louis “Best in Business” for both value and as a web design firm over the last seven years. What Goes into Winning Best in Reliability? Our dedicated and talented team takes great pride in designing, developing, and supporting solutions for customers of every size. From our brick and mortar location in the Greater Saint Louis area, IQComputing serves customers that range in size and industries, delivering superior response time backed by great customer service. It’s an easy equation that we ensure to keep balanced. You can’t expect great results if you don’t have the right mix of the other three ingredients for successful website design. With solutions for both small businesses and large customers looking for exceptional value, we’re a great resource for designing, developing, and supporting custom websites. Our in-house team offers you an accrued knowledge of technologies that make a difference without breaking budgets. Ready to see the difference? Whether you’re a small company or a large agency looking to partner with a white label St. Louis web development service, give our team a call or send us an email to see what we can do for your business.